Whether fear or anxiety is expressed is thought to depend on an animal’s proximity to threat. In general, fear is elicited when threat is proximal, while anxiety is a response to threat that is distal and uncertain. This threat gradient model suggests that fear and anxiety involve non-overlapping neural circuitry, yet few behavioral paradigms exist that elicit both states. We studied avoid-approach conflict in rats that were behaving in a predator-inhabited foraging arena task that involved tangible threat and reward incentives. In the task, rats exhibited a variety of both fearful and anxious behaviors corresponding to proximal and distal threat, respectively. We then administered ethanol or diazepam to the rats in order to study how anxiolytics affected these fear and anxiety behaviors. We discovered that both ethanol and diazepam attenuated proximal-threat fear-like behaviors. Furthermore, we found that diazepam, but not ethanol, increased distal-threat anxiety-like behavior but also made rats less risk-averse. Finally, we describe how decisional conflict can be modeled as a partially observable Markov decision process and characterize a potential relationship between anxious behavior, diazepam’s ability to suppress hippocampal theta oscillations, and hippocampal representations of the future. 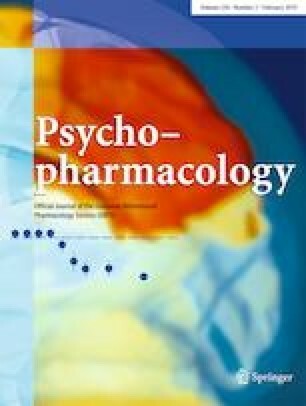 This article belongs to a Special Issue on Translational Computational Psychopharmacology. We are grateful to Brendan Hasz, Chris Boldt, and Kelsey Seeland for their technical assistance. This work was supported by the National Institute on Drug Abuse Grants 4T32DA007234-30 and 2T32DA007234-31.